I thought i'd share with you a few things i've brought over the last few weeks, i'm meant to be saving money but you know how it is! I'd heard that Matalan had a few good pieces in for Spring, it's not a shop i ever think to go in but there's one nearby so i thought it could be worth a run out- and it was. I picked up these 2 tops and resisted my instinct to purchase black and stuck with light and airy white and cream. I love the sheer panels in the tee and the quilted texture of the quarter length sleeved top. I think they were £14 each -steal! From Topshop i picked up some tops and although we are getting psyched up for the warmer weather in the UK it's still pretty chilly, so i think the daisy print jumper will be a useful transitional piece. But the pastels and summer crops were calling my name, especially this lilac crop which i'll wear to brighten up jeans. I also grabbed this grey crop which i've worn under an unbuttoned shirt with high waisted jeans, and when it gets warmer it'll be a great staple top to pair with almost anything. 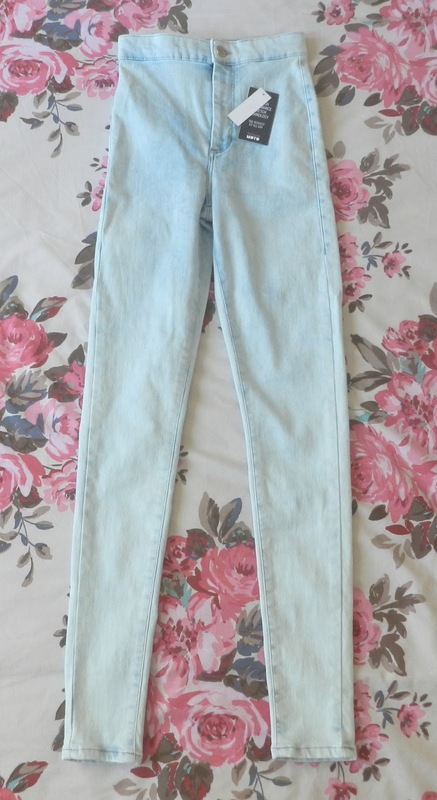 Lastly i picked up some super summery Joni jeans from Topshop, the Joni's are my favourite jean, super high waisted and flattering and they come in so many colours. I've been wanting some white jeans but i don't know if i'm brave enough to try and pull off such a bold colour, so i went for these light washed blue ones. The style of the dying means all the pairs in the shop had varied colouring but i think these were the best of the bunch with their subtle ombre effect. What have you been buying for Spring? 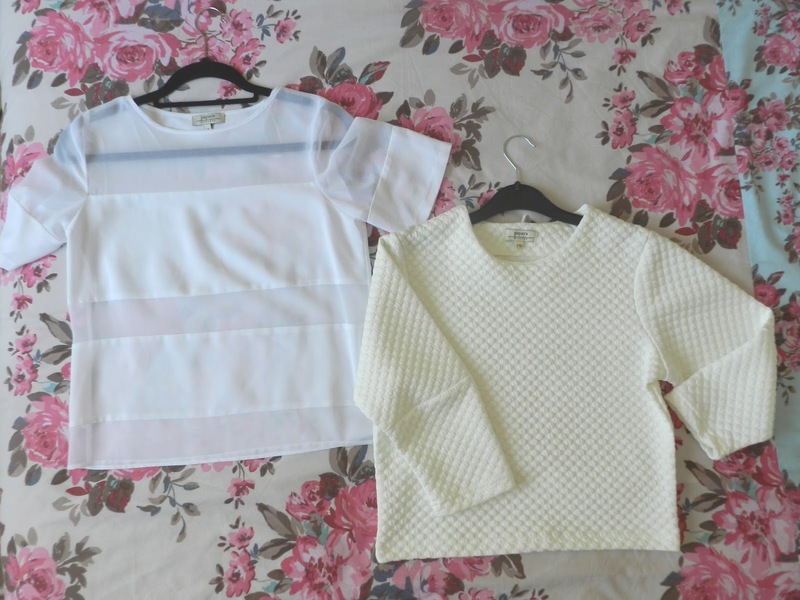 I really like the tops you got from Topshop! I've been getting loads of thin t shirts and shorts lately to welcome the ever so slightly warmer weather!